Happy Saints: 2nd Happy Saints Ebook on its way! 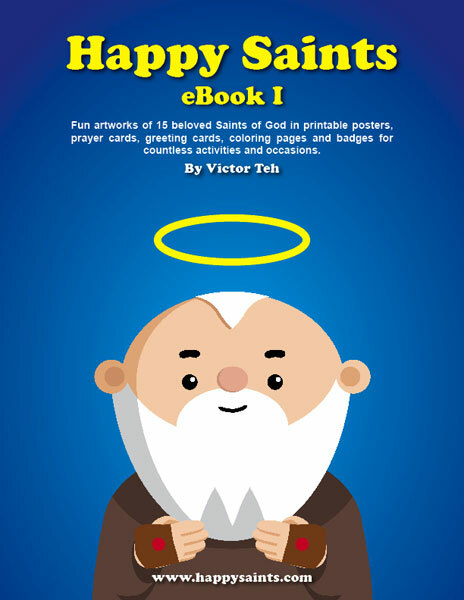 I am currently working on the 2nd Happy Saints eBook, which will feature another 15 saints in printable posters, cards, badges and coloring sheets for many occasions! It should be released in the coming weeks, before All Saints Day! Meanwhile, you can still purchase Happy Saints eBook 1 here.